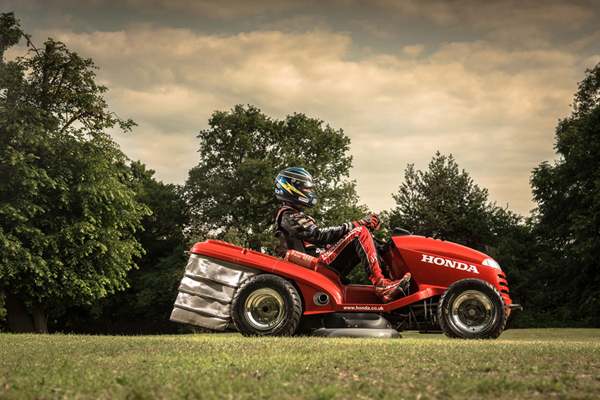 Honda UK has teamed up with British touring car championship partner, Team Dynamics, to create the world’s fastest lawn mower. 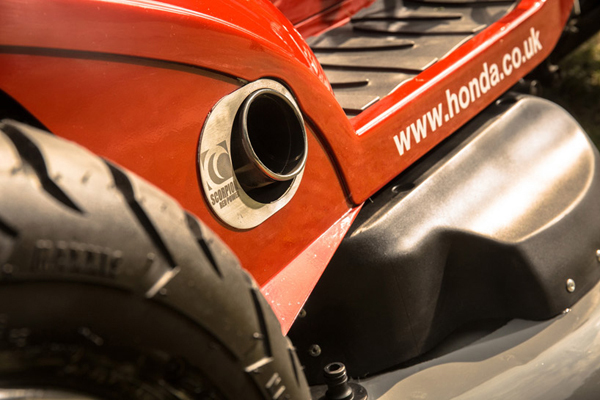 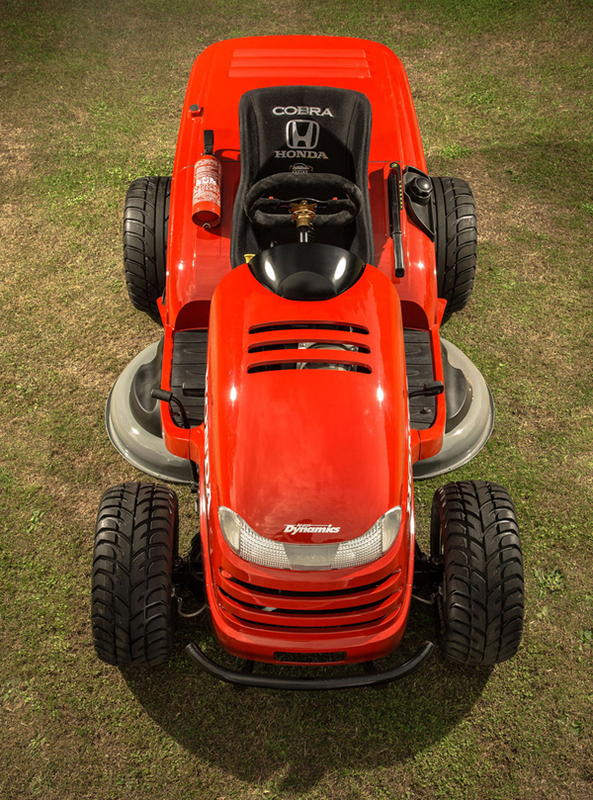 The re-engineered Honda HF2620 lawn tractor is conceived from the ground-up with an all-new fabricated chassis, outfitted with a 1000cc engine from a honda VTR firestorm that produces 109 horsepower. 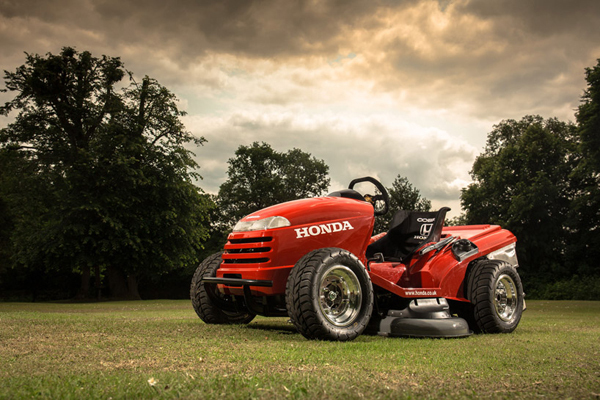 With this, the grass trimmer can reach 0-100km/h (0-62 mph) in just four seconds, with a top speed of 208km/h (130mph). 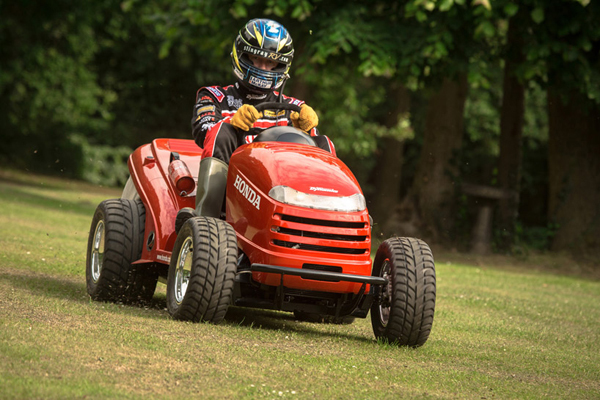 the garden toy is supplemented with a custom-made paddle shift six-speed gearbox, paired with a custom-made cobra sports seat, a scorpion exhaust system and a morris minor steering rack. 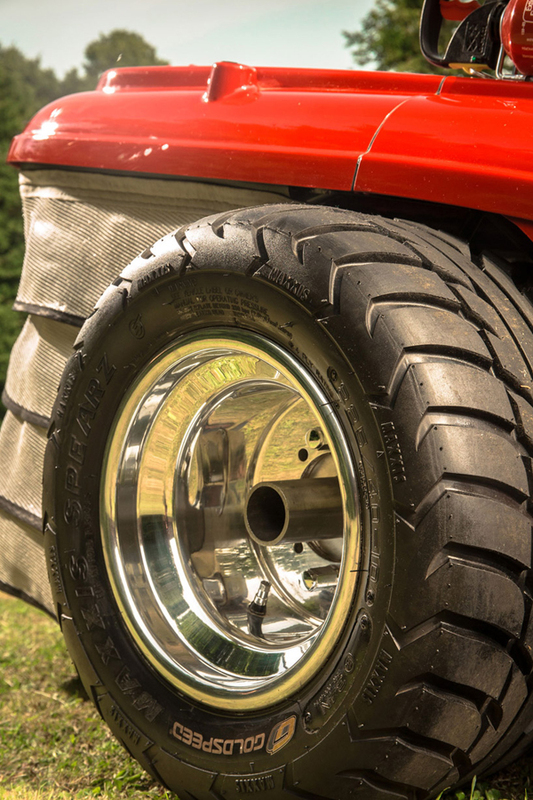 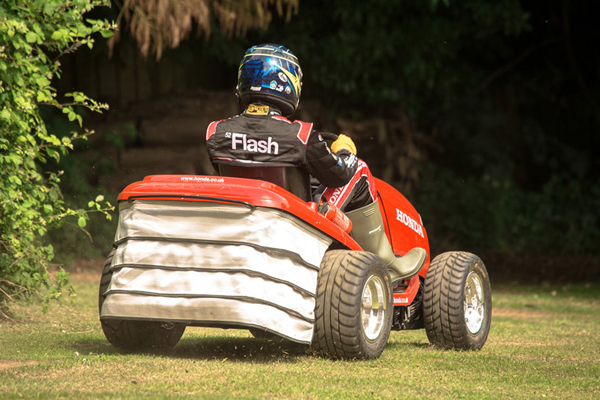 Along with a bespoke suspension and wheels from an ATV, the “mean mower” still can – thanks to two electric motors on the cutter deck – mow the lawn at around 24km/h (15mph) with spinning 3mm steel cutting cable at 4000rpm.